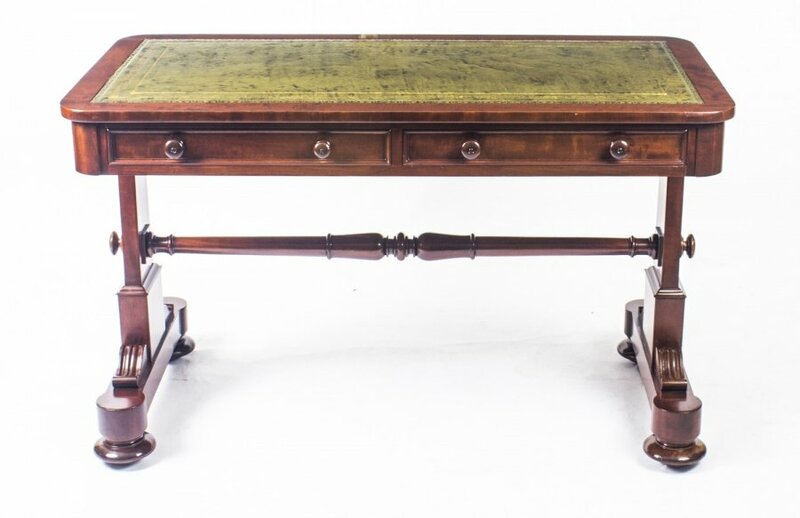 We are delighted to be able to offer for sale this fantastic antique writing table dating from the 19th Century. This Victorian library centre table is oval in shape and fashioned from beautiful flame mahogany which has been polished to perfection. 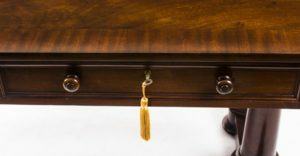 The top of this lovely antique writing table features a border that has crossbanded decoration. 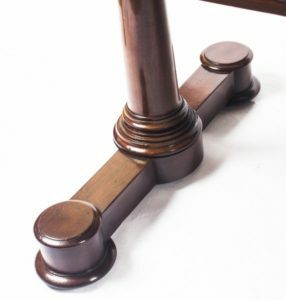 This Victorian library centre table rises on two plain columns and stands on four circular shaped pad feet. This gives a very sturdy feel to this lovely Victorian library center table and one can well imagine it stacked high with precious books, yet leaving enough room for writing space. It also has two spacious drawers accessed from one side, with dummy drawers on the other side and comes complete with working locks and key. This design ensures that this antique writing table can be placed in any part of a room, including the centre. At 153cm (5ft), its size means that it can be placed in most rooms without overwhelming the space. Flame mahogany has been the wood of choice for master cabinet makers and craftsmen throughout the centuries. Thomas Sheraton in the 18th century extolled the virtues of the wood as being the fact that it was strong, worked easily and had beautiful figuring that could be polished up well enough to be ‘an ornament in any room in which it’s placed’. This can certainly be seen from this gorgeous Victorian library centre table. The flame element of mahogany is revealed by slicing through the part of the branch that joins with another part of the tree. 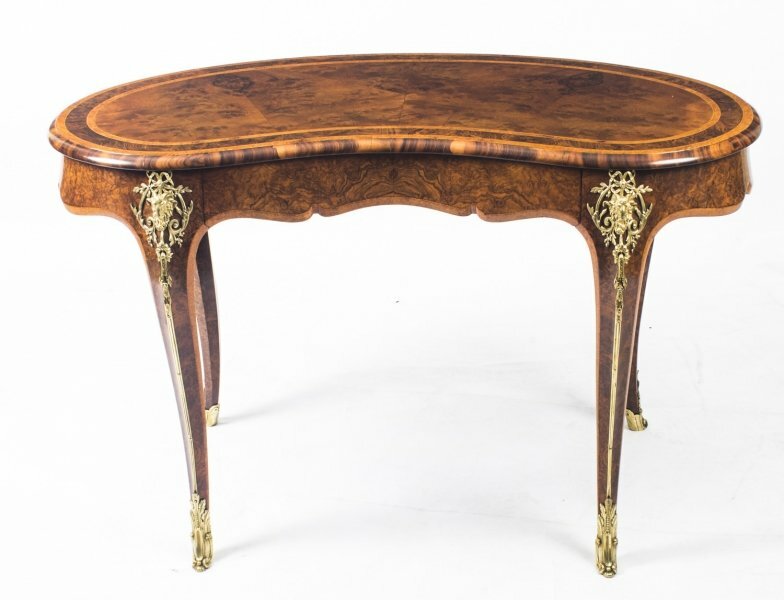 This fantastic antique writing table is sure to be a talking point in any room that you place it, especially one that has a Victorian inspired decor and ambiance as it really typifies the excellent craftsmanship of the era. This antique writing table is in a superb condition having been beautifully restored in our workshops. You can see this for yourself if you take a few moments to look at the images we have provided. We are certain you will agree that it’s a wise course of action to look at valuable items such as this Victorian library centre table in person before you purchase. With this thought, we are always pleased to encourage buyers to pay a visit to our North London salesroom to check this splendid antique writing table personally. Whilst you are here you can look over our comprehensive variety of other beautiful collectibles and also speak about any concerns that you might have. 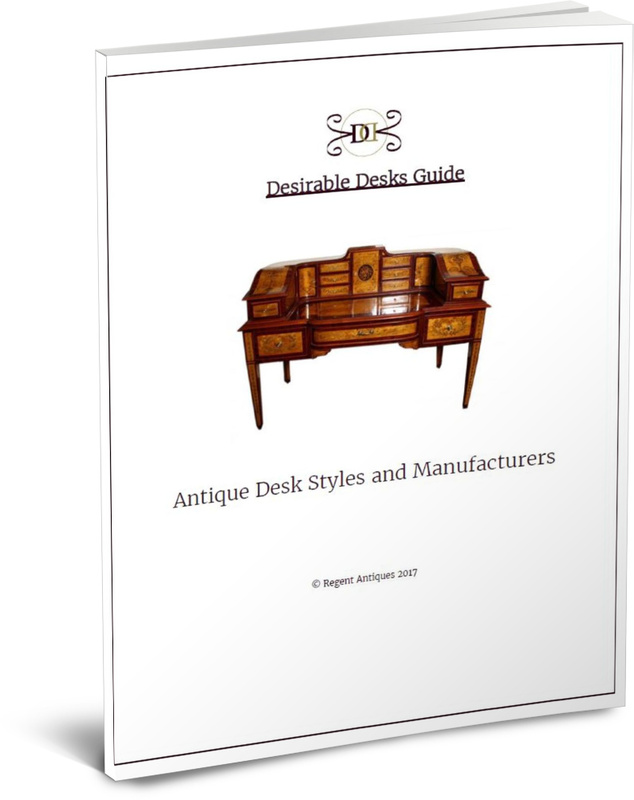 Our in house professionals are readily available to answer queries, not simply about this Victorian library centre table but also concerning antiques and collectibles more generally. They’ve a great deal of specialist knowledge and are always pleased to advise. Follow the ‘Find Out More’ button to get our contact details. 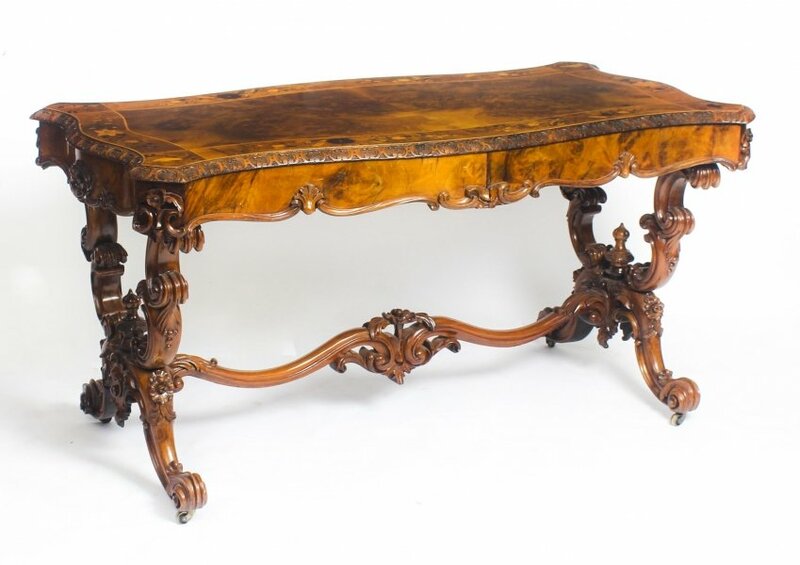 Please get in touch with us ahead of time to book an appointment to view this antique writing table so that we can be certain we have the right specialist around to support you. We occasionally open on Saturdays, so if you would like to come at a weekend, please get in touch ahead of time to make sure that we will be open. We do not want you making a wasted journey. When contacting us please be sure that you have the item reference number at hand 08851 so we can make sure which exact object you are looking to discuss. 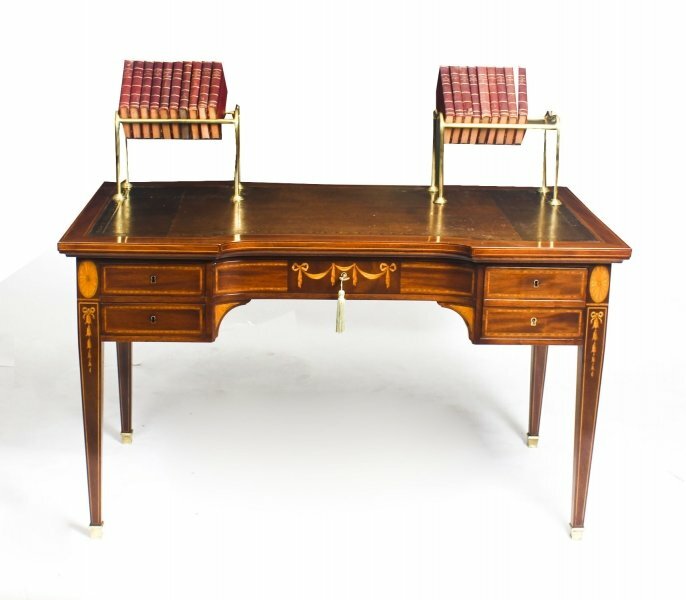 The London display room is open Mon to Fri 10am – 5pm for you to view this antique writing table. We also open from time to time on Saturdays – but remember to call ahead before making the journey on a Saturday as we do not want you to be disappointed. Click the ‘Find Out More’ button to get our contact details. 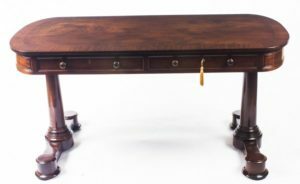 If you are unable to come to us, then we are always glad to resolve any concerns you might have about this antique writing table by email or telephone. We have in-house experts who will be happy to support you with any aspect of your intended purchase, so why not take the opportunity to gather more information. When you get in touch please make sure to mention the item reference number so we know which of our many objects you are referring to. You will see both our email address and our phone number by following the ‘Find Out More’ button. 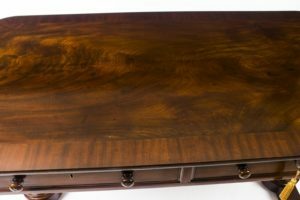 Fine pieces such as this Victorian library centre table will need expert packing and transportation to make sure they reach you in the same shape that they left us. We take great satisfaction in our shipping know-how and can send to virtually any destination worldwide. However, we ask you to make contact to discuss transportation plans and receive a estimate ahead of making any purchases, as we want to be certain that we can satisfy all your transportation specifications. As you will understand, some items call for delicate handling and we will need to ensure that that everything is set up to get it to you safely. Please quote the item reference number for this antique writing table when getting in contact so we know exactly what the shipping needs will involve. You will be happy to know that shipping is free to any mainland UK destination. 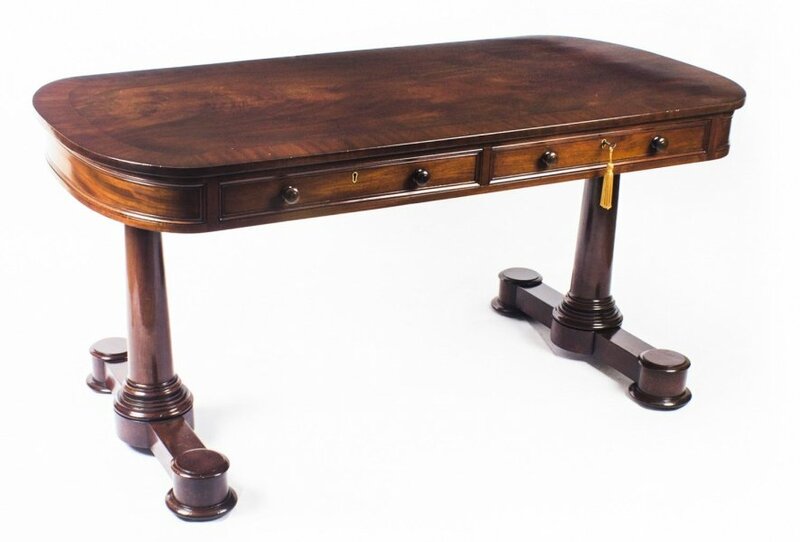 If you are not happy with this Victorian library centre table, we offer a 14 day money-back guarantee in line with the Distance Selling Regulations. If you do wish to return it, you will be needing to pay the return shipping charges, unless we sent you an item materially different to what you were expecting or have mis described it in some material way. You must send the product back in its’ original condition and packaging. You will be liable for any customs duties, taxes or fees that become due outside the European Union. 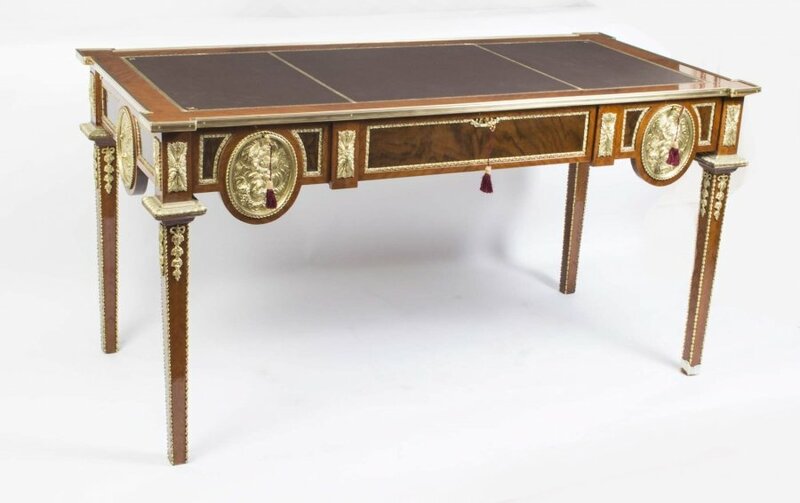 Antique Inlaid Writing Table Desk With Brass Book Troughs Price: £2600.